More than 100,000 complete genetic blueprints have been sequenced from NHS patients with cancers and rare diseases, marking a world-first landmark in the history of the health service. Data from the genomes are being stored both to benefit the 85,000 patients who contributed their DNA and to assist medical research. There are ambitious plans to expand the 100,000 Genomes Project over the next five years with a new target of one million whole genomes. Bringing in research and industry partners could boost this figure to five million. Project leaders outlined their vision of a future NHS that combines whole genome testing and wearable biometric devices to catch dangerous diseases before they have a chance to progress. They also revealed that the project had successfully fended off a number of well-documented cyber attacks including some “from overseas”. Stringent security measures adopted to protect patient information included employing a company to mount a simulated firewall assault. Making the announcement, Health Secretary Matt Hancock said: “We are leading the world in genomics and this is a major milestone in our mission to provide truly personalised care to help patients live longer, healthier and happier lives. A complete genome includes all of a person’s genes plus the DNA that does not directly code for proteins but may influence gene activity. Hidden within the genome may be altered elements of DNA that can trigger or worsen disease, or cause adverse reactions to medicines. The 100,000 Genomes Project taps into this treasure trove of medical data. Since 2012 when the project was launched automated systems have been sequencing patient genomes at a rate of 300 a day. The initial target of 100,000 genomes has now been met with 100,249 sequences officially recorded. The number exceeds that of patients because every participant with cancer has three genomes sequenced. Two encompass healthy and cancerous cells within a tumour and the third is taken from blood. Currently the project is focusing on some 17 cancers, including both common and rare forms, and around 1,200 rare diseases affecting children and adults. 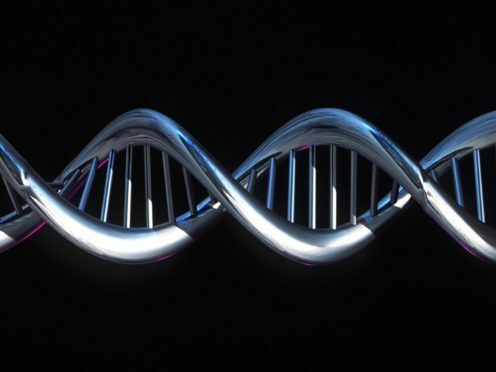 An estimated 4,000 patients with rare diseases have been told about potentially important findings from the data set. Cancer patients have received more than 11,500 reports so far, half of which could be clinically useful. Sir John Chisholm, chairman of Genomics England, the state-run company set up to oversea the project, said: “Today is a joyous day. At launch the 100,000 Genomes Project was a bold ambition to corral the UK’s renowned skills in genomic science and combine them with the strengths of a truly national health service in order to propel the UK into a global leadership position in population genomics. Since 2002 when the first human genome was sequenced the cost of the process has plummeted from 3.2 billion US dollars (£25 billion) to a mere £500. As the cost falls further whole genome sequencing will become more commonplace and wide-ranging, said the project leaders. They acknowledged that whole genome sequencing could one day become a routine part of health care, but it was impossible to predict how far in the future than might be. A lot more research into its benefits was needed first as well as a society-wide debate touching on the ethical issues involved, they said. Speaking at a press conference in London, Sir John predicted a coming together of digital technology, including wearable devices that record information such as blood sugar levels and heart rate, and genomic information. “Twenty years from now I can imagine the digital world is going to gallop on in medicine and the things coming up, like wearables, will be linked to a genomic infrastructure so we can get ahead of diseases,” he said. Prof Caulfield envisioned a new era of “genomic prevention” in which personal genetic information was used “to spot things before they happen to someone and thereby avoid harm”.